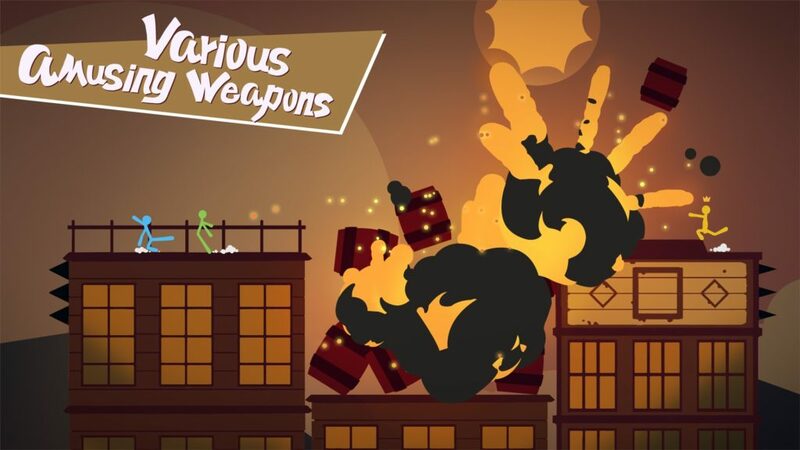 There are more stickman games on mobile than you can shake, well, a stick at, most of them from a single studio called Djinnworks. So it would be easy to mistake Stick Fight: The Game for yet another addition to that developer’s stable. But it’s not. Stick Fight: The Game is actually a highly acclaimed PC and Switch title from developer Landfall, with a highly impressive 89% user score on Steam. It’s a physics-based fighting game with charmingly stripped back graphics, similar in style to cult classic Nidhogg, and it sees up to four players huddling on a couch and duking it out across 100 ingeniously designed levels. There’s online play, too, and a level editor for creative types. Naturally, there’s also a huge array of weapons to wield, including a gun that fires snakes and a bomb that perversely kills the thrower. Why are we telling you about a Steam and Switch game? Because it’s now a mobile game too, thanks to Chinese studio NetEase. Stick Fight: The Game Mobile is available to download right now on Google Play, though it looks like it’s in closed beta until April 3rd.